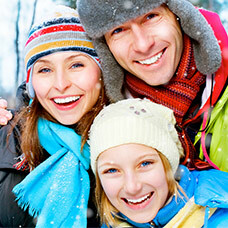 Establish and maintain your dental health with care and services by Tim Chapel, DDS. 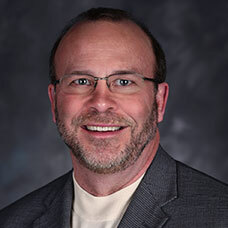 With more than 25 years of experience in family dentistry, he’ll provide the attention and care that you and your family deserve when it comes to your dental health and overall wellness. We are always looking for new ways to help our patients maintain good oral health, restore smiles, and improve aesthetics with the most comfortable, natural-looking procedures available. Dr. Chapel offers a range of general dental treatments, as well as restorations over implants, dentures, teeth whitening, and Invisalign® clear aligners. If you are interested in getting dentures, partials, or implanted dentures, then your first visit to Tim Chapel, DDS, is a complimentary consultation. He will listen to your questions and concerns and make an assessment of your dental health. Then Dr. Chapel will present treatment options that address your wants and needs for a healthy mouth and a great smile! To schedule your consultation, contact our Jackson dental office today! 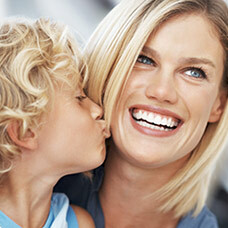 Prevent oral health problems before they start with good home care and professional cleanings. 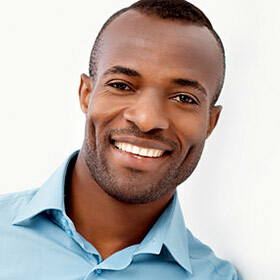 Get the smile you’ve always wanted with cosmetic treatments including teeth whitening and crowns. Restore your smile to ideal form and function by replacing missing teeth with highly aesthetic dental implants. Start your children on the path to great oral health by bringing them to the dentist as soon as their baby teeth arrive. If you lack most or all of your teeth, dentures are a non-invasive and cost-effective solution to replace missing teeth. Choose Invisalign clear aligners to get a straight, beautiful smile without the hassle of traditional metal brackets.